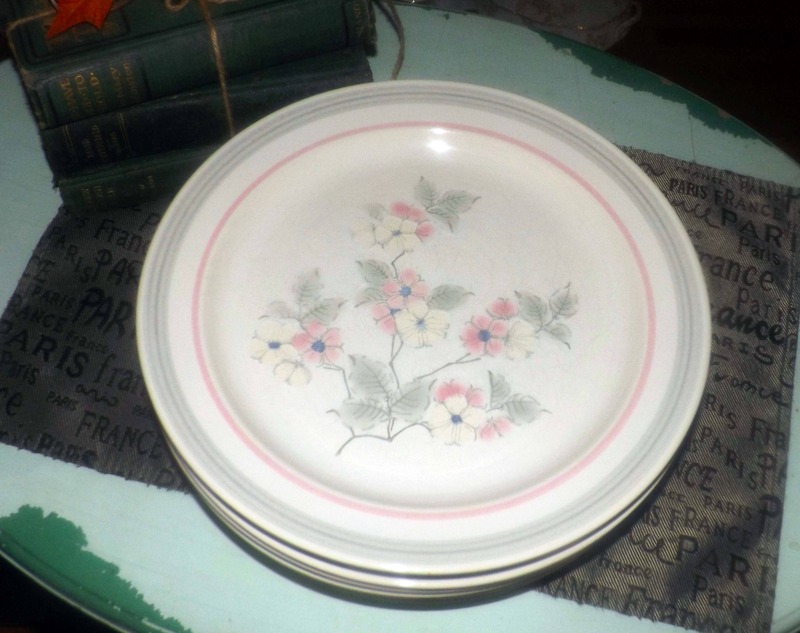 Vintage (1970s) Japan Stoneware large dinner plate. Pink, grey bands, pink, cream flowers w/blue centers, grey leaves. 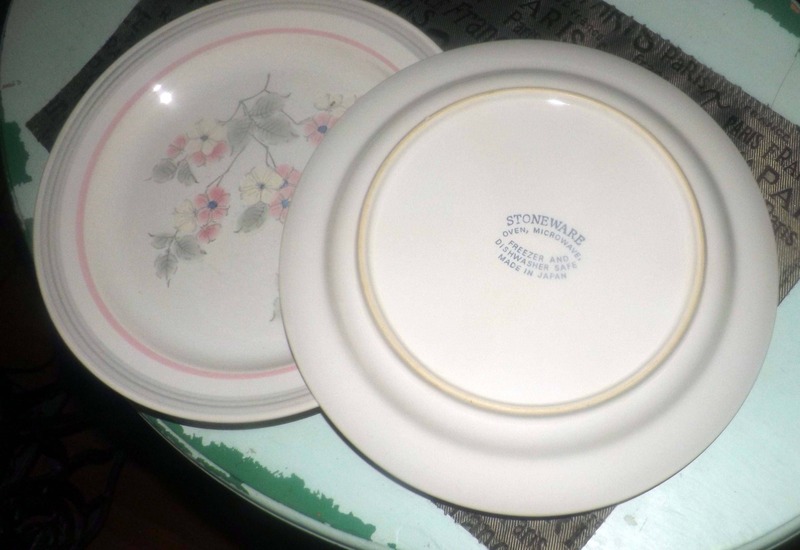 Vintage (1970s) Japan Stoneware large dinner plate. 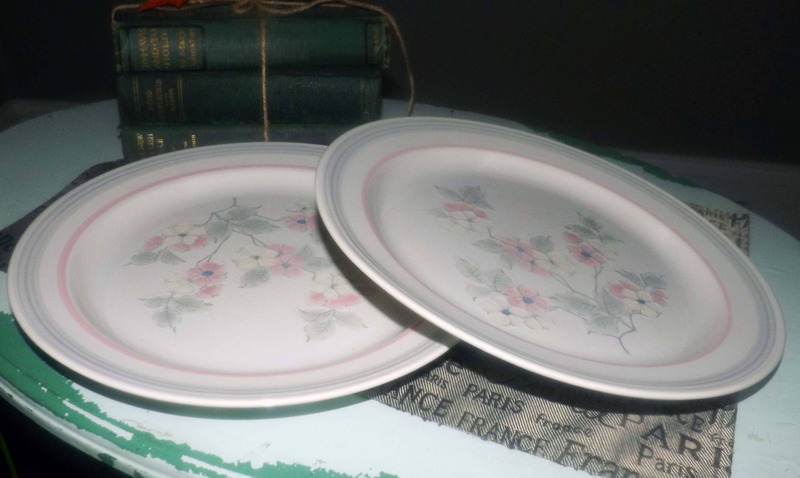 Pink and grey bands, pink and cream-colored flowers with blue centers, grey leaves. 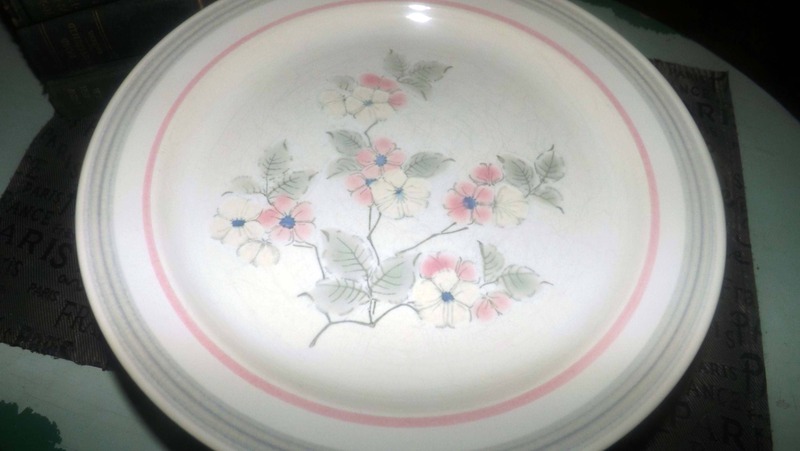 Of unknown manufacture with the exception of Stoneware and Made in Japan, this dinner plate - in the style of Mountain Wood or Stoneware Manor of Japan - features pink and grey bands and gently embossed, central pink and white flowers with grey leaves. In EXCELLENT! condition with NO! chips, nicks, cracks or fleabites, NO! crazing and NO! marks, stains, scratches or other signs of use or wear. 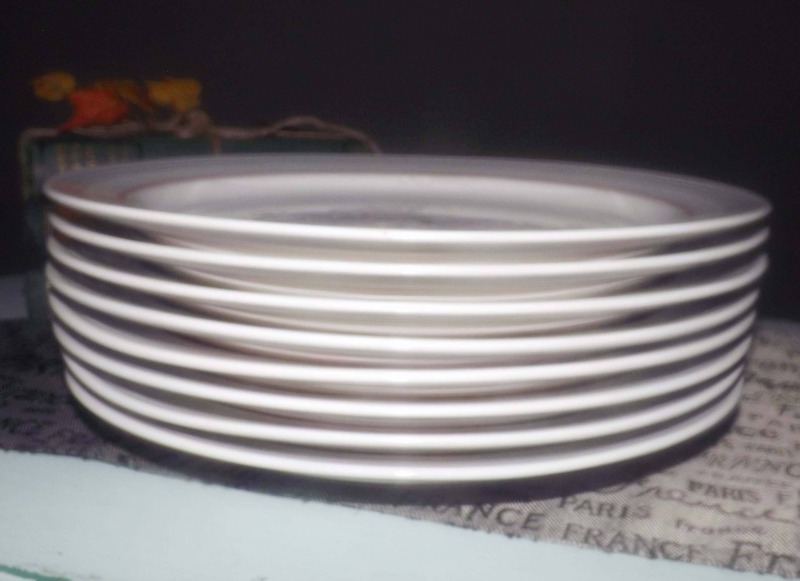 The plate actually appears unused. Approximate measurements: 12" in diameter with a coupe shape.